EDMUNDSTON, NB – Les Brasseurs du Petit-Sault has announced the release of a new beer that pays tribute to a local legend that connects a family in the area to the royalty of pre-Revolution France. According to Nadeau family keepsakes and archeological digs, Bélonie Nadeau was Louis XVII, France’s lost little red-haired prince. His parents would have sent him over to save him during the Revolution. His disappearance continues to intrigue the world over, but the answer might be found in our backyard. True or not, we figured he deserved to be honoured with a royally great beer! 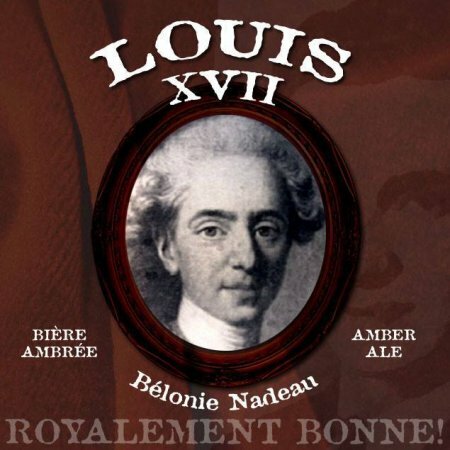 Louis XVII Amber Ale will go op tap today (November 5th) at the brewery for growler fills and samples. A wider release in bottles is likely to follow next year.